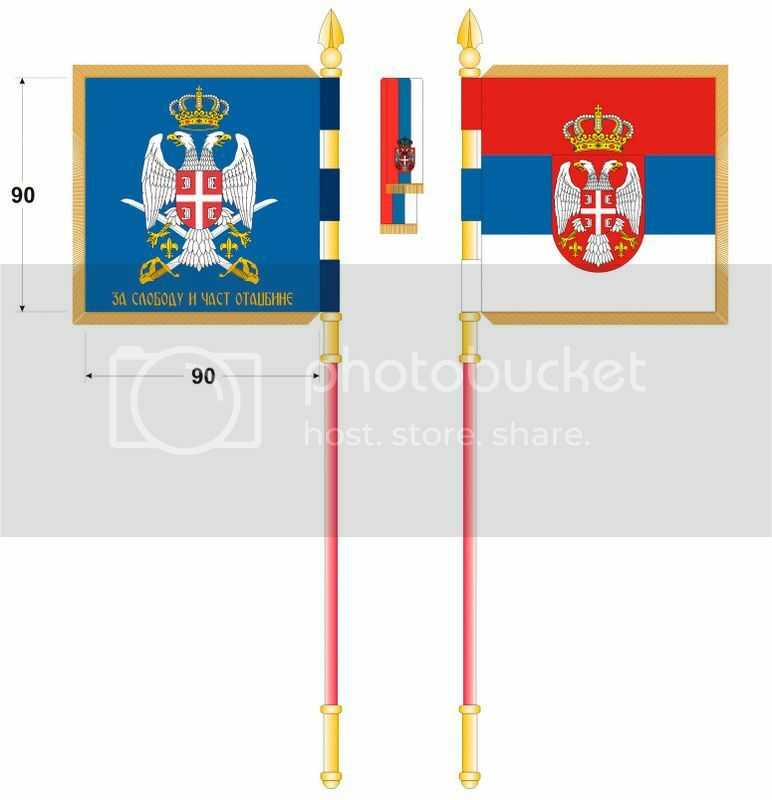 According to information I got from Major Jovan Milak, of Serbian Army, unit flags are temporary and should be changed by the end of the year. These flags can be regularly seen during new brigades' formation ceremonies, wich are part of the Serbian army's reform. 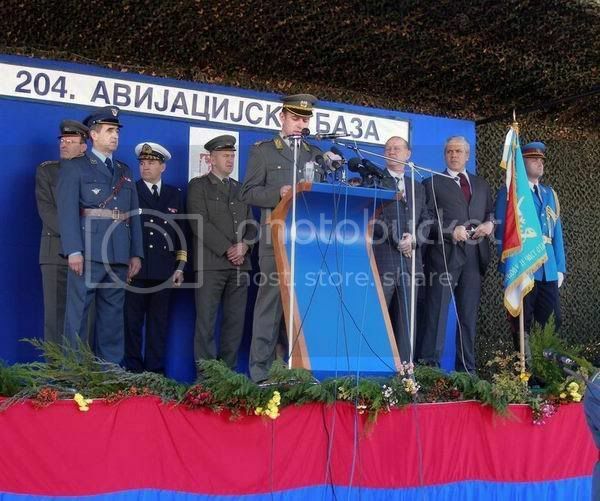 During the ceremony, the Serbian President gives the flag to the brigade's commander. The Serbian Military Army Protocol document is ready for offical signature. This document regulates the usage of state and military flags. Every branch and military unit has the right to have a flag, as well as the Defence Minister and cabinet members, operative centers, units and military institutions on brigade level. Pennants are for units smaller than a brigade. The document also describes the size, proportions, handling and other flag related usages such as flag-shaped patches on uniforms, etc. General Staff flag, reverse and obverse - Images by Ivan Sarajčić, after the website of the Serbian Armed Forces, 19 March 2010. The obverse of the flag has a red background (the colour of the General Staff) and an adequate emblem; the reverse of the flag is a Serbian tricolour with the coat of arms of Serbia and a golden fringe. Land Forces flag, reverse and obverse - Images by Ivan Sarajčić, after the website of the Serbian Armed Forces, 19 March 2010. The obverse of the flag has a dark red background (the colour of the Land Forces) and an adequate emblem; the reverse of the flag is a Serbian tricolour with the coat of arms of Serbia and a golden fringe. Land Forces brigade flag, reverse and obverse - Images after Major Milak's drawing, 22 April 2007. The size of the flag, excluding the golden fringe (not represented) is 90 cm x 90 cm. The motto in Serbian reads "For the freedom and the honor of the fatherland". Air Force flag, reverse and obverse - Images by Ivan Sarajčić, after the website of the Serbian Armed Forces, 19 March 2010. The obverse of the flag has a blue background (the colour of the Air Force) and an adequate emblem; the reverse of the flag is a Serbian tricolour with the coat of arms of Serbia and a golden fringe. Air Force brigade flag, reverse and obverse - Images after Major Milak's drawing, 22 April 2007. Training Command flag, reverse and obverse - Images by Ivan Sarajčić, after the website of the Serbian Armed Forces, 19 March 2010. The obverse of the flag has a vertically divided dark red-blue background (the colours of the Training Command) and an adequate emblem; the reverse of the flag is a Serbian tricolour with the coat of arms of Serbia and a golden fringe. 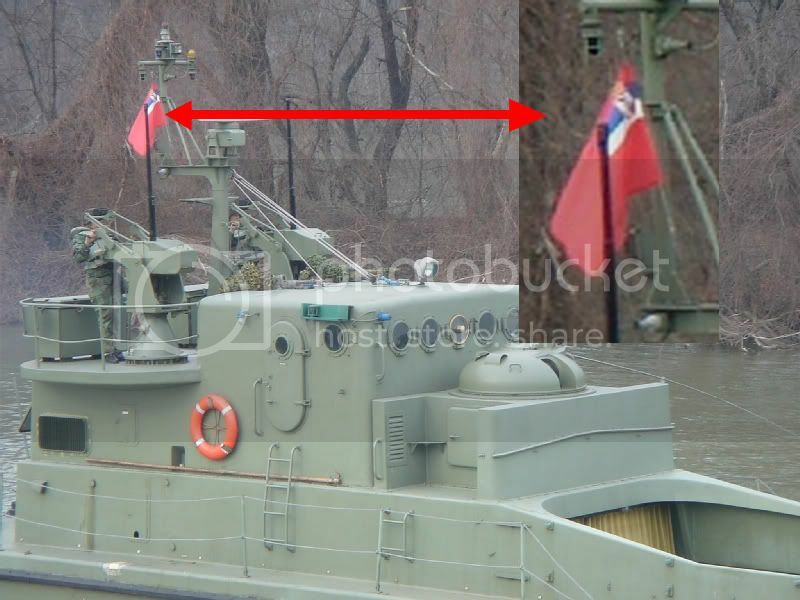 While watching pictures from military maneuvers in Belgrade that marked the Serbian Statehood and Army Day, I have noticed a new flag (photo). It is a red flag with the Serbian state flag in the upper corner. The flag is probably based on the naval ensigns of the former Federative Republic of Yugoslavia and Serbia and Montenegro. No official source has reported this flag yet, but itis probably a part of the overall change of the symbols of the Serbian Army. It looks to me as if the state flag in the canton does occupy less than half the length and less than half the width of the whole flag. This is difficult to say from the photography, though.